The Independent Women’s Forum recently released A Budget-Neutral Approach to Parental Leave. But, despite its title, the plan is unlikely to be budget-neutral. IWF should pursue personal tax-favored savings accounts for parental leave as it suggested in its Working for Women report in 2016. IWF’s newest policy initiative would allow mothers and fathers to collect Social Security benefits early for 12 weeks of paid parental leave. In exchange, they would defer collecting Social Security upon retirement for an estimated six weeks to offset the cost of their parental leave. IWF is proposing a new entitlement. Many parents already have paid leave through individual arrangements with their employers. Just because the government does not mandate a benefit, it does not mean that it is not offered. IWF visiting fellow Kristin Shapiro suggests that the program would benefit parents by increasing parental engagement, especially among fathers, by improving maternal and child health after birth, and by increasing labor-force attachment for new mothers and fathers. In addition, Shapiro claims that the parental leave plan would pay for itself, leaving few reasons to oppose it. Incomes for those in the workforce generally increase steadily between childbearing age and retirement. However IWF assumes all women who take parental leave will return to the labor force, and this is not necessarily correct. IWF anticipates that women who earn paid parental leave are more likely to be attached to the labor force and return to their jobs. To be eligible for paid parental leave under the IWF proposal, parents must have worked at least four quarters in their lives and at least two of the last four quarters preceding the birth of a child—unless circumstances outside their control made this impossible. The purpose for this, Shapiro asserts, is to ensure that the individuals receiving paid leave are actively employed and likely to return to work. Not mentioned is who will define the circumstances outside the control of new parents, meant to ensure that parents are at work before taking the benefit. It is a loose term open to manipulation. While many individuals who take parental leave are likely attached to the labor force, some will decide to leave the labor force, perhaps permanently, to take care of their children. According to the Bureau of Labor Statistics, only about 65 percent of women with young children participate in the labor force. Although this is higher than in 1980, many women do not return to the labor force after childbirth. In order to be eligible for Social Security, a person must have worked 40 quarters during their lifetime, equal to 10 years of work. Women (and men) who do not return to the labor force for some time, or at all, might not accrue the 40 quarters of work. Thus, these individuals would not pay back the 12 weeks they took off during their parental leave, reducing the solvency of Social Security. Shapiro maintains that the cost to pay for parental leave through Social Security is just “a drop in the bucket.” However, according to the latest estimates from the 2017 Social Security Trustees report, Social Security trust funds are expected to be depleted in 2034, before most parents retire. Between 2034 and 2091 payroll taxes will pay about 75 percent of benefits. Entitlement programs, including Social Security and Medicare, are estimated to add $82 trillion to the deficit over the next 30 years. 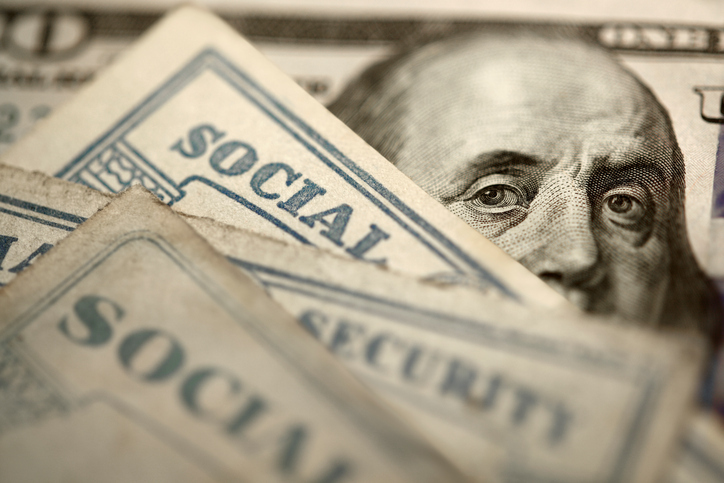 Taking $7 billion per year from Social Security (using a 25 percent take-up rate by eligible parents) would unnecessarily deplete Social Security even more quickly. Charles Blahous, a former U.S. public trustee for Social Security and Medicare, told me that Social Security should not be used for parental leave benefits. Social Security was set up for a specific purpose and was not set up to be “a bottomless source of funds” for other categories of benefits. Because Social Security already lacks the funding to finance itself, it should not be used for other causes. If parental leave benefits are truly a priority, he said, then we should allocate funds specifically for that purpose. In 2016 IWF proposed financing paid parental leave through Personal Care Accounts funded by pre-tax individual contributions, possibly matched by employers. The fund would be available for periods of leave as defined by the Family and Medical Leave Act. This would be a better way of funding paid parental leave than allowing parents to use their Social Security early. Allowing individuals to contribute to personal care savings accounts avoids depleting entitlement programs. Additionally, it avoids problems associated with mandating paid leave, such as a reduction in economic opportunities for women and a reduction in other paid-leave benefits. When working on constructing a paid parental leave policy, IWF should move away from Social Security and design a program with a better probability of long-term success. Emily Top is a research associate at Economics21.